How indiscriminate marketing can damage your reputation – by John Bedwany, CEO, the Database Dept. 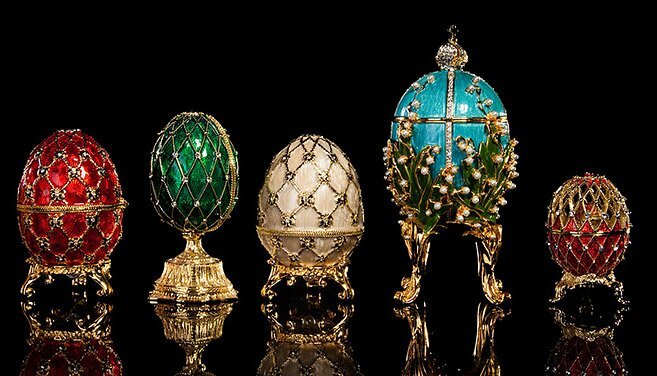 Like a Faberge egg, your brand and your reputation are precious – and like an ordinary egg, they are fragile. A reputation can be shattered by a catastrophic event – as Volkswagen and BP have learnt recently – and all major companies have contingency plans (or should have) to limit the damage from such an unforeseen occurrence. But your reputation and brand can be eroded by a much more insidious danger – undisciplined or uncoordinated marketing. Most companies are focused on customer satisfaction and many use customer surveys, mystery shoppers, reputation management and other tools to protect their brands. But if you focus purely on your customers you may be leaving a bad taste in the mouth of a much larger group of people – your potential customers – through intrusive marketing. Let’s look at an example. Suppose you sell to CIOs and that you have several products and services you’d like to sell them. You probably have a multi-channel marketing approach. You use social media, email marketing, newsletters, you run events, you may send direct mail, perhaps you use telemarketing and marketing automation to reach them. You probably also have a lot of marketing collateral – case studies, white papers, opinion pieces, blogs, direct mail and/or email, event invitations, brochures. You may have different teams responsible for different products and services who have lists of the prospects they target – often with the same people appearing on more than one list. How confident are you that these prospects – busy CIOs, who receive marketing communications from dozens or hundreds of companies – aren’t getting multiple marketing messages from you about totally different things? How sure are you that you aren’t sending them information on topics they have absolutely no interest in – possibly ones they have already told you they don’t care about? How certain are you that they aren’t getting calls from several people about different products and services who don’t even know the others have called? How confident are you that every person who communicates with them represents you they way you’d like to be represented – professionally and consistently? How confident are you that any feedback the CIO gives you is recorded and acted upon next time someone contacts them? If you were a busy CIO and you received lots of uncoordinated and unrelated communications from the same company, much of which doesn’t apply to you, what would you think? Now multiply that by a hundred or more – because hundreds of other companies are targeting exactly the same people as you and flooding them with their communications – and imagine how annoying it is. From your perspective each single attempt to communicate is justified. From theirs it becomes white noise – unless it gives them something of value and it’s about something they really care about. Too many companies focus only on the people who they are already doing business with. They focus on immediate sales opportunities. But they forget about the people who aren’t ready to buy yet – but who will be in the future. Does this mean you shouldn’t try to communicate with prospects? Of course not. But it does mean you need a strategy to do it effectively without overwhelming them and annoying them. Lots of people talk about becoming a trusted advisor – but in order to do this you need to communicate consistently, regularly and in a progressive manner. You need to ensure that every single marketing communication provides cumulative value for your prospect – even if they won’t become a sales opportunity for 6, 12, 24 months or longer. The way to build trust is to develop a true understanding of them and what they do – and don’t – care about. You need to understand and respond to their business issues, their needs, their beliefs and their values. In order to build trusted relationships you need a coordinated marketing strategy – where every communication, by whatever channel, tells part of a consistent story and helps you and the prospect get to know, understand and trust each other. If you have a fragmented approach, if you run one-off campaigns designed to find leads right now and just ignore the ones who don’t respond, if you don’t have a clear, consistent narrative, you will slowly and irrevocably erode your brand and your reputation. And you won’t even know it’s happening. John Bedwany is the CEO of the Database Dept., an Australian company that helps clients like Amazon Web Services, Adobe, Cisco, Google, Microsoft, SAP and VMware throughout Asia and Australia to build trusted relationships with prospects and win new business.